Welcome to Silver line Meditech Private Limited, Supplier of Medical Equipment and Hospital Products. The company was incepted in the year 1998, at Ahmedabad. Our Sophisticated & latest methodology help us to cater East Europe and East Asia. Large production capacity, customized solutions and excellent logistics support are the plus points of our organization. 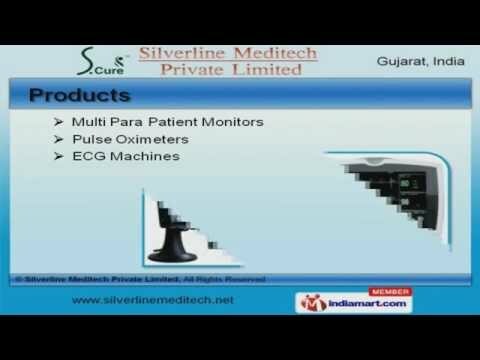 Multi Para Patient Monitors, Pulse Oximeters and E C G Machines are some of our products. Fetal Dopplers, Infusion and Syringe Pumps offered by us are extremely reliable. We are specialized in manufacturing Digital Stethoscopes and Medical Air Beds. Our organization is highly involved in providing an impeccable range of Single Head Stethoscopes and Digital Blood Pressure Monitors. We also provide Fold able Wheel Chairs and Electric Suction Apparatus that are a class apart. Our Oxygen Concentrators and Digital Thermometers are superior in performance.